Buy Rexel Matador Stapler and get Rexel P215 Hole Punch for free. 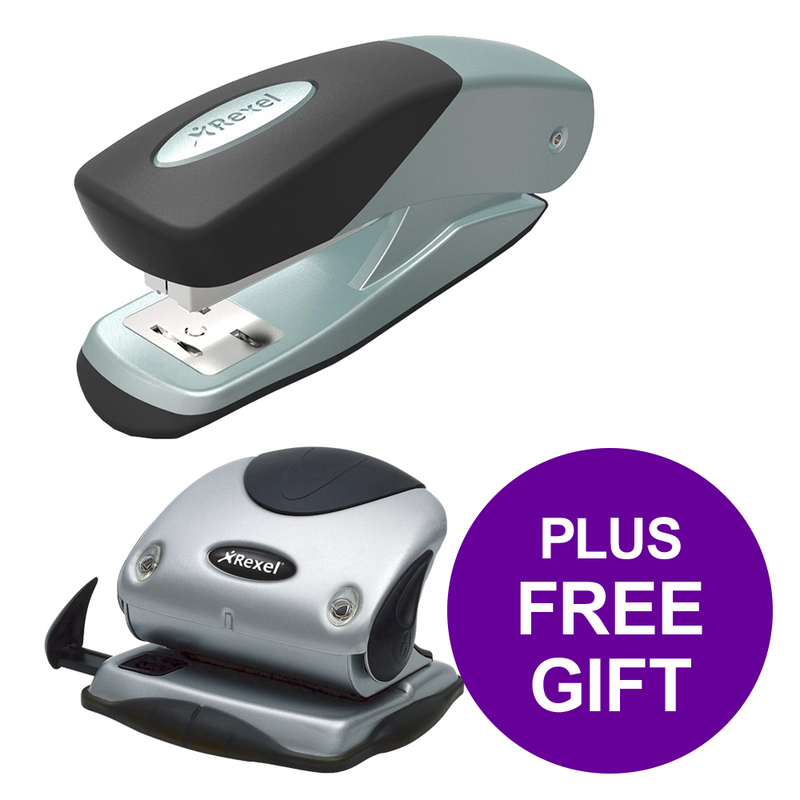 The UK's best selling stapler - The Matador Desktop Stapler, reliable performance guaranteed. Perfect for everyday office use, with a comfortable grip and easy to use action, the Rexel Matador Half Strip Stapler tackles permanent stapling jobs and temporary pinning or tacking. Available in many stylish colour combinations and with a 50mm throat depth, it handles up to 20 sheets using Rexel No. 56 or up to 25 sheets with No. 16 staples.